This draft Local Plan is attractively designed and is well-written. 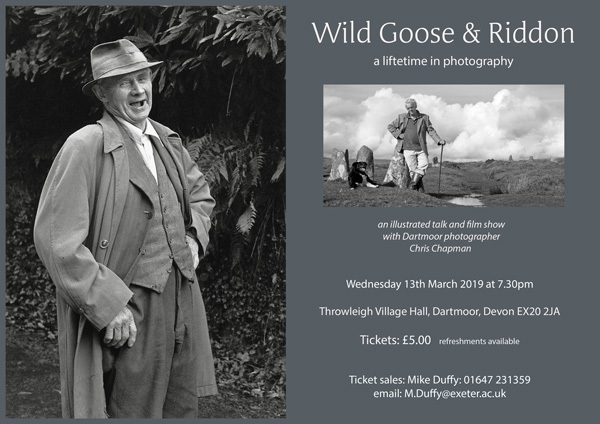 We welcome the fact that the title refers to Dartmoor rather than Dartmoor National Park. We regret that there is still a Government requirement for both a Local Plan and a Management Plan. This is very confusing for the general public and a waste of resources, when both documents should rationally be combined into one. We recommend that there should be an introductory section to the Local Plan which informs the reader that the Plan is essentially concerned with the environment and communities of the enclosed landscape beyond the open moorland. It is extremely rare that there are any planning applications affecting open moorland (examples might be for replacement military structures or Mires Project paraphernalia. Proposals for large-scale infrastructure such as reservoirs, roads, mineral workings or windfarms are very unlikely). This section mentions ‘evidence’ and ‘data’. We recommend that it should include an aspiration for all data relating to biodiversity, cultural diversity and the social fabric of Dartmoor to be freely and straightforwardly accessible online for everyone, using each parish as a framework. We welcome this policy but with a sense of deep irony, given the recent hostile treatment of the National Park towards Steward Community Woodland and Hillyfield, both of which are exemplars of sustainable development. We recommend that this should include woodland management. 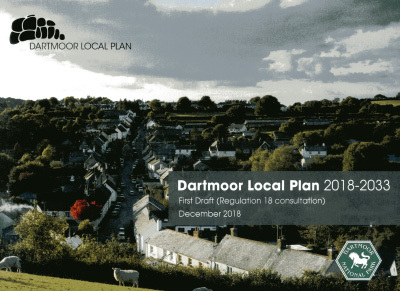 This section (1.6.3) should include a statement about the importance of 20th and 21st century buildings that have contributed to the life and work of Dartmoor communities and which continue the legacy of the human story of Dartmoor. Especially important are those buildings of the first half of the 20th century, i.e. before the creation of the National Park, such as small-scale bungalows. We welcome mention of ‘corrugated metal sheeting’. ‘Figure 1.1.’ should read ‘Figure 1.3’. We recommend that this policy should include a statement that ‘materials of timber and stone should be locally sourced wherever possible’. We recommend that there should be a statement and a clear map which distinguishes between those designations on the open moorland and those within enclosed land, as the latter are the most relevant to the Local Plan and development (see comment on p.6, above). We recommend that there should be a statement about the key importance of ‘ordinary’ and commonplace species rather than an emphasis only on the rare or unusual. There will almost always be a net loss of commonplace biodiversity when there is new development, especially on greenfield sites. Given the negative impacts mentioned in 2.3.6 and 2.3.7 (p.36), we recommend that this policy should be more radical in requiring, for example, control of dogs (except working dogs) by means of leads throughout the National Park at all times of year. We recommend that there should be a statement noting that many of the negative impacts on Dartmoor biodiversity are caused by development and population pressure outside the National Park, within Devon, Britain and abroad. We recommend that the concept of ‘enhancement’ should include ‘Cultural Enhancement’ alongside ‘Biodiversity Enhancement’. This would relate to the loss of historic hedges and other cultural features including structures. ‘Swale’ is not a Dartmoor term, and should be deleted or replaced. It is North American dialect for a marshy depression, probably borrowed from eastern England in the 17th century (Source: Wikipedia). We recommend that this section should include a statement about the importance of centuries of woodland management on Dartmoor which have created features of cultural significance (structures, boundaries, tracks etc) within them. We recommend that the statement about 1,082 Scheduled Monuments should be rewritten. Approximately 1,000 of these are on moorland which is most unlikely to have development proposals [this estimate was provided orally and informally to Tom Greeves by Andy Crabb in January 2019]. Moreover, the Scheduled Monuments on moorland are not indicative of the overall scale of culturally significant features on moorland, nor do they have a realistic protective role (unlike the designations within enclosed land), and confuse attitudes towards the historic environment. Readers of the Local Plan will be interested to know where the 80 or so Scheduled Monuments are within enclosed land, and there should be a map indicating these. We recommend that this section includes a statement to the effect that all buildings (whether ancient or newly built) have ‘heritage’ value as they tell parts of the human story of Dartmoor over centuries or millennia. It is obvious that medieval buildings are important but there needs to be recognition of the importance of more recent structures too, especially those of the 19th and 20th centuries which may not be designated as listed buildings. 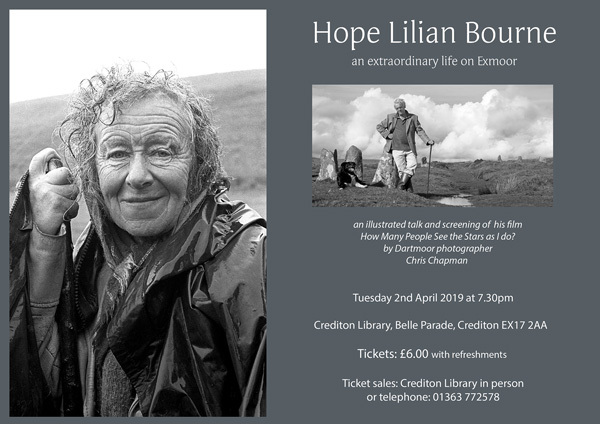 PALs do not adequately reflect the extent and time-depth of the human story on moorland and so confuse conservation thinking, and have failed to benefit the archaeology of moorland Dartmoor. They are not relevant to the enclosed landscape which the Local Plan is focussed on. We recommend an aspiration to provide high quality data about the built environment, parish by parish, freely available online (see comment p.17 1.2, above). We recommend that a new bullet-point is added for ‘woodlands’ as key areas for potential new discoveries. We recommend that a new bullet-point is added for ‘mills, weirs and watercourses’. We recommend that under the fourth current bullet-point that ‘industrial housing’ is added within the bracket. We recommend that the list of ‘Areas of Historic Setting’ is expanded to include, for example, Horndon as a distinctive mining zone. The final sentence in this paragraph is ungrammatical. There needs to be a fullstop after ‘conversion’, and the start of a new sentence with ‘Unfortunately’. We welcome the statement that ‘Generally the more a building changes the more its character is lost’ but we recommend that this principle is applied to all residential buildings and new-builds (see 3.7, below) with regard to extensions. Caution is needed with the term ‘traditional’ unless clearly defined, as features of the 20th and even 21st century are ‘traditional’ in some sense or can become so. 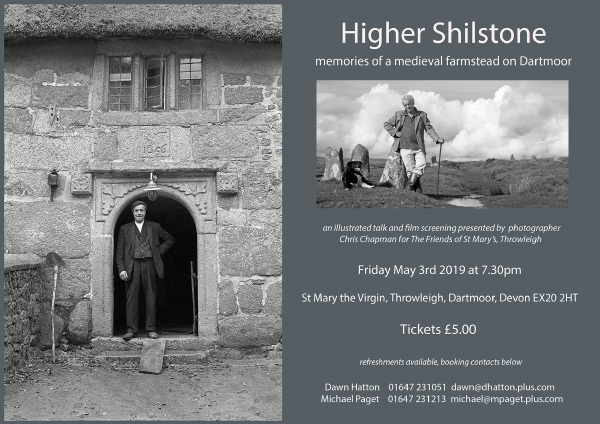 Therefore we recommend that this policy is rewritten as follows: ‘of a form, structure and history that significantly informs the story of Dartmoor’s built heritage’. 65 new homes per annum equate to 650 new homes within a decade which, almost certainly, will result in a significant increase in population. Although there has been little change to Dartmoor’s population in the past 10 years, we recommend that there should be a statement of national, regional and local population trends (relentlessly upwards) which are bound to impact upon Dartmoor. We recommend that the sixth current bullet-point should have ‘woodland’ added, as ‘forestry’ implies commercial non-native forestry activity. We recommend that a new bullet-point is added: ‘Support small-scale quarrying, micro-hydro schemes, and re-use of railways’. We are concerned at the increase in second homes and we recommend that there should be a ‘principal residence’ requirement/condition on all existing homes as well as new housing. We welcome para 3.7.3 regarding the negative impact of extensions, which destroy the original integrity of a building (see comment p.48 re 2.7.5.3, above) and make housing stock less affordable. We recommend that there is a presumption against extensions, and consider 30% far too generous. 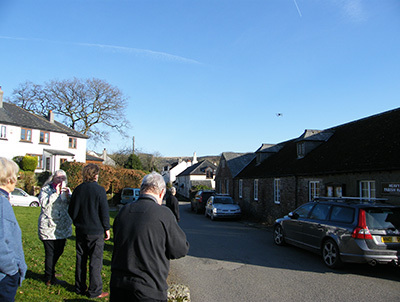 We recommend that Permitted Development Rights should be removed within Dartmoor National Park. We recommend that ‘such as inter-war bungalows’ should be added to the final sentence. We recommend that ‘removal of a dilapidated dwelling’ should be deleted. Many historic and architecturally non-listed assets have been swept away on Dartmoor because they have been labelled as ‘dilapidated’ or as an ‘eyesore’ or ‘disfigurement’. Buildings that have been abandoned or poorly maintained are some of those most at risk from emotive superficial assessment of their appearance, yet most can be fully restored and remain as historic markers within the Dartmoor landscape. We recommend that ‘woodland’ should be added here as an acceptable business (see comment p.55, above, re forestry). p.80 – the illustration on this page does not seem relevant to the topic. We welcome this policy but with heartfelt irony, given the aggressive and negative treatment of Steward Community Woodland. We recommend that there should be a section on provision of Public Toilets which are essential for the well-being of visitors and residents alike. 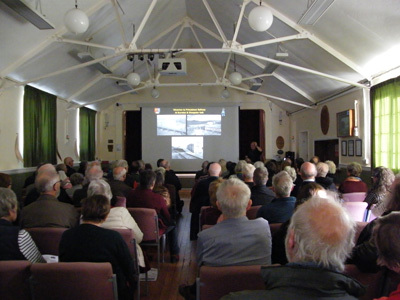 We recommend that the route of the Tavistock–Okehampton railway should be protected from prejudicial development, and that much fuller analysis should be given to the provision of rail transport in, or close to, the National Park (see the item on p.2 of The Western Morning News of 23 January 2019 detailing the remarkable increase in use of local railways since 2001). We recommend that there should be positive statements about the potential reopening of the Teign Valley Railway and the Newton Abbot–Moretonhampstead line, and that the Local Plan should endorse reopening of the Tavistock–Okehampton line as a priority. We welcome the Strategy as set out on p.119, paragraph 6.1.5 (p. 120) and Strategic Policy 6.1 (1) New or Extended Minerals Operations, especially 2. and 3. (p.121). We recommend that ‘removal of plant and other infrastructure’ should be rewritten to take account of the cultural significance of mineral working of any period. We recommend that the policy should include a statement, ‘Where possible, redundant plant and infrastructure should be left in situ as historic markers for the future’. ‘Barn Park’ should read ‘Holne Road’. We welcome these maps, especially the inclusion of Listed Buildings. We recommend that the Conservation Area should be extended northwards to include all the buildings within the ‘Settlement Boundary’ alongside and west of the Two Bridges Road (i.e. including Bellever Close for its distinctive Cornish Unit houses and ‘The Cottage’, which is the northernmost building on the west side of the Two Bridges Road which was erected as a bakehouse for the War Prison in 1809/10), and should be further extended to include New London on the Two Bridges road as a rare example (1871) of industrial housing, and Ockery Barn and the ruins of Ockery Cottage at Oakery Bridge (just off the map) which were two of Princetown’s earliest buildings (the barn dates to 1808 and the cottage to 1805). We recommend that there should be a map for Lydford and also maps for all 18 villages and hamlets shown on Map 1.1. (p.21) as well as the additional settlements we recommend under 1.4.6 (p.21), above. The heading of Column 1 should read ‘Policies superseded’ not ‘Policies superceded’.